Nostalgia is a pretty powerful force, especially when it comes to games. We all like to think back on the games of yesteryear that we played when were just kids and long for something like that nowadays. This can make it pretty easy for a company to make an easy buck. Just take some beloved game from the 80s and 90s, give it a fresh coat of paint, and then kick out the door for easy nostalgia-fuel dollars. It’s easy enough to almost make a man cynical. It’s nice to know that Sega realized this, because the Castle of Illusion remake is most assuredly not just a copy-paste job. Well, mostly. One thing that is copy-pasted is its story and framework. Just like the Genesis classic, Castle of Illusion starts off with Mickey out on a date with Minnie when suddenly an evil witch named Mizrabel (who very closely resembles Queen Grimhilde from Snow White and the Seven Dwarfs) appears and kidnaps Minnie in hopes of stealing her beauty and youth. In order to save her, Mickey must travel to the titular Castle of Illusion and collect the 7 Rainbow Gems to gain access to Mizrabel’s tower so that he may defeat her. As far as stories go, you can’t get much more generic and cliched. Some might even object to the damsel in distress setup. However, given the fact that this is a remake of a game from 1990 and that the story doesn’t really matter, I’d say let it pass. In order to collect the 7 Rainbow Gems, Mickey must traverse 5 different worlds and each of the Masters of Illusion–that’s where the game begins. As a game, Castle of Illusion starts off looking like just another cheap remake. However, there’s a great moment at the end of the game’s first level that makes this clear that that is very much not the case. At the end of the level, you’ll arrive at the castle gate, which is when the game shifts into a 3D platformer, if only for bit. It’s a subtle moment, but it does set it up that this game is not afraid to change things. After that, the game starts to constantly throw new surprises at you. After that first level, the game sets into the same pattern of the first game, which involves you moving from world to world collecting gems. However, with this simple pattern Sega has made a selection of some of the finest levels in all of platforming. Most levels consist of moving along a 2D path in hopes of finding the exit, but the world is anything but flat. The environment will bend and curve as you move through it, thus giving off the feeling of it being more than just a single path you must follow. Even better, no one level is a straight shot to the end, with many branching paths that lead to secrets and bonus areas. The bonus areas are especially rewarding, as they are where the game’s true challenge lies. In the original game, there were a few areas that, while impressive, caused a brief spike in difficulty. Rather than just cut them wholesale or dumb them down, Castle of Illusion opts to turn many of these into bonus areas. They are completely optional, down to the fact that failing them just spits you back into the main world with nary a scratch on your back. If you want to give it another go, just go back in. You’ll want to do so, as these are the sections with both the most challenge and the most ingenuity. One level involves using a set of switches to flip the world. Another is a race to avoid a vortex in a giant teacup. With these areas set aside as bonus areas, the difficulty curve is more forgiving than the original Genesis game. Well, mostly. The game does have a steady ramp up in challenge up until the boss for the Library world, which is when the game’s difficulty spikes. Unfortunately, this spike feels kinda cheap in the moment. The game does taper off a bit after that before spiking yet again at the final boss. However, the modern design of Castle of Illusion makes this bearable, what with checkpoints and infinite continues. The bosses are in fact one of the game’s biggest issues. In total, the game has 6 of them. Out of all of them, I’d say I enjoyed fighting 2 of them. The aforementioned Library and final boss especially sour the overall experience, both for different reasons. In the Library boss’s case, it’s because of some wonky transitions from 2D to 3D and vice versa. This became especially irritating when I ended up dying right as I defeated him because I fell off the platform that suddenly changed from a 2D surface to a 3D one. As for the Mizrabel fight, she is appropriately difficult. However, the presence of a minute or so long cutscene before the fight constantly frustrates upon retry, thanks to said cutscene being unskippable. Another problem is the less-than-precise controls. Numerous times I’ve found myself falling off a ledge I was sure I had landed on or getting hit by an enemy I was sure I had bonked on the head. One specific ledge in the final proper level is seared into my mind. I must have fallen through this particular ledge 10 times despite being sure I was on it. This problem is compounded in the bits of Castle of Illusion where things shift to 3D. It all just feels a tad too floaty for my tastes. However, the game rarely needs precise platforming, so it is possible to overlook it. Make no mistake though, Castle of Illusion is a joy to play. Every level features some new surprise just waiting to be discovered. I haven’t had this much fun just exploring a level in a platformer in quite some time. Even furthering the joyous time is the music. Throughout my playthrough, I kept remarking to myself how much the music reminded me of my personal favorite game Banjo-Kazooie. This connection was not unfounded, as I found out the score was in fact done by Grant Kirkhope. His versions of the original’s tunes perfectly capture the generally exciting but sometimes ominous moments of exploring the castle. As an extra bonus, the game also includes the entire soundtrack of the Genesis version as an option in the main menu. However, there is one huge negative that clouts the entire experience, and that’s the length. Just like the games of yesteryear, Castle of Illusion is a rather short tale, clocking in at around 2-3 hours. This does mean that there are very few repeated ideas, but it also means you are spending about a buck per level. Making matters worse, the game offers little in the way of replay value. There is a Time Attack feature for completed levels, but beyond that, the only real reason to go back to already completed levels is for collecting all the stuff you missed before. Apart from achievements, I felt little reason to go back and do these things. However, I can’t say I still didn’t enjoy the experience I had. Castle of Illusion is the very best kind of remake. It understands what did and did not work about the original and is willing to add new ideas to make the entire experience all the better for it. The game’s price and length may scare off more frugal gamers, but those of us that are able to look past that will find a treat that will please both newcomers and veterans alike. 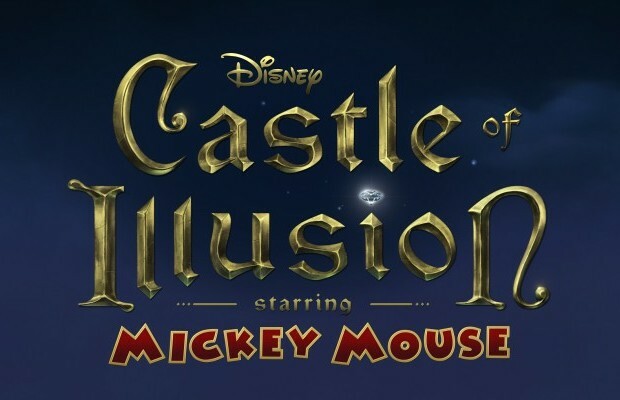 Castle of Illusion Starring Mickey Mouse was developed by Sega and published by Sega & Disney Interactive Studios. An Xbox 360 copy of the game was provided by the publisher for review purposes.